"Centers for Disease Control" redirects here. For the Centers for Disease Control in Taiwan, see Centers for Disease Control (Taiwan). For the European Union agency, see European Centre for Disease Prevention and Control. For similar agencies outside the US, see List of national public health agencies. Its main goal is to protect public health and safety through the control and prevention of disease, injury, and disability in the US and internationally. The CDC focuses national attention on developing and applying disease control and prevention. It especially focuses its attention on infectious disease, food borne pathogens, environmental health, occupational safety and health, health promotion, injury prevention and educational activities designed to improve the health of United States citizens. In addition, the CDC researches and provides information on non-infectious diseases such as obesity and diabetes and is a founding member of the International Association of National Public Health Institutes. The Communicable Disease Center was founded July 1, 1946, as the successor to the World War II Malaria Control in War Areas program of the Office of National Defense Malaria Control Activities. Preceding its founding, organizations with global influence in malaria control were the Malaria Commission of the League of Nations and the Rockefeller Foundation. The Rockefeller Foundation greatly supported malaria control, sought to have the governments take over some of its efforts, and collaborated with the agency. The new agency was a branch of the U.S. Public Health Service and Atlanta was chosen as the location because malaria was endemic in the Southern United States. The agency changed names (see infobox on top) before adopting the name Communicable Disease Center in 1946. Offices were located on the sixth floor of the Volunteer Building on Peachtree Street. With a budget at the time of about $1 million, 59 percent of its personnel were engaged in mosquito abatement and habitat control with the objective of control and eradication of malaria in the United States (see National Malaria Eradication Program). Among its 369 employees, the main jobs at CDC were originally entomology and engineering. In CDC's initial years, more than six and a half million homes were sprayed, mostly with DDT. In 1946, there were only seven medical officers on duty and an early organization chart was drawn, somewhat fancifully, in the shape of a mosquito. Under Joseph Walter Mountin, the CDC continued to advocate for public health issues and pushed to extend its responsibilities to many other communicable diseases. In 1947, the CDC made a token payment of $10 to Emory University for 15 acres (61,000 m2) of land on Clifton Road in DeKalb County, still the home of CDC headquarters today. CDC employees collected the money to make the purchase. The benefactor behind the “gift” was Robert W. Woodruff, chairman of the board of The Coca-Cola Company. Woodruff had a long-time interest in malaria control, which had been a problem in areas where he went hunting. The same year, the PHS transferred its San Francisco based plague laboratory into the CDC as the Epidemiology Division, and a new Veterinary Diseases Division was established. 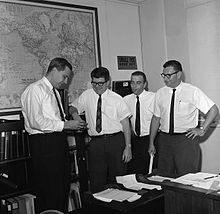 An Epidemic Intelligence Service (EIS) was established in 1951, originally due to biological warfare concerns arising from the Korean War; it evolved into two-year postgraduate training program in epidemiology, and a prototype for Field Epidemiology Training Programs (FETP), now found in numerous countries, reflecting CDC's influence in promoting this model internationally. The mission of CDC expanded beyond its original focus on malaria to include sexually transmitted diseases when the Venereal Disease Division of the U.S. Public Health Service (PHS) was transferred to the CDC in 1957. Shortly thereafter, Tuberculosis Control was transferred (in 1960) to the CDC from PHS, and then in 1963 the Immunization program was established. It became the National Communicable Disease Center (NCDC) effective July 1, 1967. The organization was renamed the Center for Disease Control (CDC) on June 24, 1970, and Centers for Disease Control effective October 14, 1980. An act of the United States Congress appended the words "and Prevention" to the name effective October 27, 1992. However, Congress directed that the initialism CDC be retained because of its name recognition. Currently the CDC focus has broadened to include chronic diseases, disabilities, injury control, workplace hazards, environmental health threats, and terrorism preparedness. CDC combats emerging diseases and other health risks, including birth defects, West Nile virus, obesity, avian, swine, and pandemic flu, E. coli, and bioterrorism, to name a few. The organization would also prove to be an important factor in preventing the abuse of penicillin. In May 1994 the CDC admitted having sent several biological warfare agents to the Iraqi government from 1984 through 1989, including Botulinum toxin, West Nile virus, Yersinia pestis and Dengue fever virus. On April 21, 2005, then–CDC Director Julie Gerberding formally announced the reorganization of CDC to "confront the challenges of 21st-century health threats". The four Coordinating Centers—established under the G. W. Bush Administration and Gerberding—"diminished the influence of national centers under [their] umbrella",[clarification needed] and were ordered cut under the Obama Administration in 2009. Today, the CDC's Biosafety Level 4 laboratories are among the few that exist in the world, and serve as one of only two official repositories of smallpox in the world. The second smallpox store resides at the State Research Center of Virology and Biotechnology VECTOR in the Russian Federation. The CDC revealed in 2014 that it had discovered several misplaced smallpox samples and also that lab workers had potentially been infected with anthrax. The CDC is organized into "Centers, Institutes, and Offices" (CIOs), with each organizational unit implementing the agency's activities in a particular area of expertise while also providing intra-agency support and resource-sharing for cross-cutting issues and specific health threats. Generally, CDC "Offices" are subdivided into Centers, which in turn are composed of Divisions and Branches. However, the Center for Global Health and the National Institute for Occupational Safety and Health are freestanding organizational units and do not belong to a parent Office. The Office of Public Health Preparedness was created during the 2001 anthrax attacks shortly after the terrorist attacks of September 11, 2001. Its purpose was to coordinate among the government the response to a range of biological terrorism threats. CDC’s budget for fiscal year 2018 is $11.9 billion. In addition to its Atlanta headquarters, the CDC has other locations in the United States and Puerto Rico. Those locations include Anchorage; Cleveland; Cincinnati; Detroit; Fort Collins; Hyattsville; Morgantown; Pittsburgh; Research Triangle Park; San Juan, Puerto Rico; Spokane, Washington; and Washington, D.C. The CDC offers grants that help many organizations each year advance health, safety and awareness at the community level throughout the United States. The CDC awards over 85 percent of its annual budget through these grants. As of 2008, CDC staff numbered approximately 15,000 (including 6,000 contractors and 840 Commissioned Corps officers) in 170 occupations. Eighty percent held bachelor's degrees or higher; almost half had advanced degrees (a master's degree or a doctorate such as a PhD, D.O., or M.D.). Common CDC job titles include engineer, entomologist, epidemiologist, biologist, physician, veterinarian, behavioral scientist, nurse, medical technologist, economist, public health advisor, health communicator, toxicologist, chemist, computer scientist, and statistician. The Epidemic Intelligence Service (EIS) is composed of "boots-on-the-ground disease detectives" who investigate public health problems domestically and globally. When called upon by a governmental body, EIS officers may embark on short-term epidemiological assistance assignments, or "Epi-Aids", to provide technical expertise in containing and investigating disease outbreaks. The EIS program is a model for the international Field Epidemiology Training Program. The CDC also operates the Public Health Associate Program (PHAP), a two-year paid fellowship for recent college graduates to work in public health agencies all over the United States. PHAP was founded in 2007 and currently has 159 associates in 34 states. 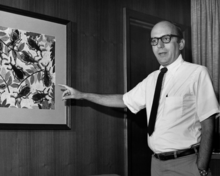 David Sencer points to a depiction of Triatomine sp., which transmits Chagas disease. The Director of CDC is a Senior Executive Service position that may be filled either by a career employee, or as a political appointment that does not require Senate confirmation, with the latter method typically being used. The director serves at the pleasure of the President and may be fired at any time. The CDC director concurrently serves as the Administrator of the Agency for Toxic Substances and Disease Registry. Sixteen directors have served the CDC or its predecessor agencies. CDC Scientific Data, Surveillance, Health Statistics, and Laboratory Information. Behavioral Risk Factor Surveillance System (BRFSS), the world’s largest, ongoing telephone health-survey system. The CDC's programs address more than 400 diseases, health threats, and conditions that are major causes of death, disease, and disability. The CDC's website has information on various infectious (and noninfectious) diseases, including smallpox, measles, and others. The CDC has launched campaigns targeting the transmission of influenza, including the H1N1 swine flu, and launched websites to educate people in proper hygiene. Within the division are two programs: the Federal Select Agent Program (FSAP) and the Import Permit Program. The FSAP is run jointly with an office within the U.S. Department of Agriculture, regulating agents that can cause disease in humans, animals, and plants. The Import Permit Program regulates the importation of "infectious biological materials." The CDC runs a program that protects the public from rare and dangerous substances such as anthrax and the Ebola virus. The program, called the Federal Select Agent Program, calls for inspections of labs in the U.S. that work with dangerous pathogens. During the 2014 Ebola outbreak in West Africa, the CDC helped coordinate the return of two infected American aid workers for treatment at Emory University Hospital, the home of a special unit to handle highly infectious diseases. As a response to the 2014 Ebola outbreak, Congress passed a Continuing Appropriations Resolution allocating $30,000,000 towards CDC's efforts to fight the virus. The CDC also works on non-communicable diseases, including chronic diseases caused by obesity, physical inactivity and tobacco-use. The CDC implemented their National Action Plan for Combating Antibiotic Resistant Bacteria as a measure against the spread of antibiotic resistance in the United States. This initiative has a budget of $161 million and includes the development of the Antibiotic Resistance Lab Network. The CDC works with other organizations around the world to address global health challenges and contain disease threats at their source. 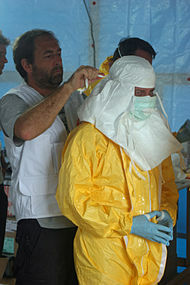 It works closely with many international organizations such as the World Health Organization (WHO) as well as ministries of health and other groups on the front lines of outbreaks. The agency maintains staff in more than 60 countries, including some from the U.S. but even more from the countries in which it operates. The agency's global divisions include the Division of Global HIV and TB (DGHT), the Division of Parasitic Diseases and Malaria (DPDM), the Division of Global Health Protection (DGHP), and the Global Immunization Division (GID). The CDC is integral in working with the WHO to implement the International Health Regulations (IHR), a legally binding agreement between 196 countries to prevent, control, and report on the international spread of disease, through initiatives including the Global Disease Detection Program (GDD). The CDC is also a lead implementer of key U.S. global health initiatives such as the President's Emergency Plan for AIDS Relief (PEPFAR) and the President's Malaria Initiative. The CDC Foundation operates independently from CDC as a private, nonprofit 501(c)(3) organization incorporated in the State of Georgia. The creation of the Foundation was authorized by section 399F of the Public Health Service Act to support the mission of CDC in partnership with the private sector, including organizations, foundations, businesses, educational groups, and individuals. Historically, the CDC has been relatively free of political manipulation. For 15 years, the CDC had direct oversight over the Tuskegee syphilis experiment. In the study, which lasted from 1932 to 1972, a group of African American men (nearly 400 of whom had syphilis) were studied to learn more about the disease. Notably, the disease was left untreated in the research subjects and they never gave their informed consent to serve as research subjects. The Tuskegee Study was initiated in 1932 by the Public Health Service. The CDC took over the study in 1957. The CDC's response to the AIDS crisis in the 1980s has been criticized for promoting some public health policies that harmed HIV+ people and for providing ineffective public education. The agency's response to the 2001 anthrax attacks was also criticized for ineffective communication with other public health agencies and with the public. On May 16, 2011, the Centers for Disease Control and Prevention's blog published an article instructing the public on what to do to prepare for a zombie invasion. While the article did not claim that such a scenario was possible, it did use the popular culture appeal as a means of urging citizens to prepare for all potential hazards, such as earthquakes, tornadoes, and floods. According to David Daigle, the Associate Director for Communications, Public Health Preparedness and Response, the idea arose when his team was discussing their upcoming hurricane-information campaign and Daigle mused that "we say pretty much the same things every year, in the same way, and I just wonder how many people are paying attention." A social-media employee mentioned that the subject of zombies had come up a lot on Twitter when she had been tweeting about the Fukushima Daiichi nuclear disaster and radiation. The team realized that a campaign like this would most likely reach a different audience from the one that normally pays attention to hurricane-preparedness warnings and went to work on the zombie campaign, launching it right before hurricane season began. "The whole idea was, if you're prepared for a zombie apocalypse, you're prepared for pretty much anything," said Daigle. Once the blog article became popular, the CDC announced an open contest for YouTube submissions of the most creative and effective videos covering preparedness for a zombie apocalypse (or apocalypse of any kind), to be judged by the "CDC Zombie Task Force". Submissions were open until October 11, 2011. They also released a zombie-themed graphic novella available on their website. Zombie-themed educational materials for teachers are available on the site. One area of current partisan dispute related to CDC funding is studying gun violence. The 1996 Dickey Amendment states "none of the funds made available for injury prevention and control at the Centers for Disease Control and Prevention may be used to advocate or promote gun control". Advocates for gun control oppose the amendment and have tried to overturn it. The American Medical Association, the American Psychological Association and the American Academy of Pediatrics sent a letter to the leaders of the Senate Appropriations Committee in 2013 asking them "to support at least $10 million within the Centers for Disease Control and Prevention (CDC) in FY 2014 along with sufficient new funding at the National Institutes of Health to support research into the causes and prevention of gun violence. Furthermore, we urge Members to oppose any efforts to reduce, eliminate, or condition CDC funding related to gun violence prevention research." Congress maintained the ban in subsequent budgets. In December 2017, The Washington Post reported that the Trump administration had issued a list of seven words that were forbidden in official CDC documentation. Yuval Levin, after contacting HHS officials, wrote in National Review that the Post story was not accurate. 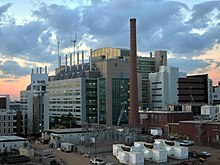 ^ "City of Atlanta's expansion to Emory and CDC approved". www.ajc.com. Retrieved December 5, 2017. ^ "Mission, Role and Pledge". Centers for Disease Control and Prevention. Retrieved January 16, 2017. ^ CDC Home Page, cdc.gov; retrieved November 19, 2008. ^ a b Parascandola J (November – December 1996). "From MCWA to CDC—origins of the Centers for Disease Control and Prevention". Public Health Reports. 111 (6): 549–51. PMC 1381908. PMID 8955706. ^ a b c "Records of the Centers for Disease Control and Prevention (Record Group 442) 1921–2004". Guide to Federal Records. United States: National Archives and Records Administration. November 9, 2010. Archived from the original on November 18, 2010. Retrieved 2009-10-04. ^ a b Nájera JA (June 2001). "Malaria control: achievements, problems and strategies". Parassitologia. 43 (1–2): 1–89. PMID 11921521. ^ Stapleton DH (2004). "Lessons of history? Anti-malaria strategies of the International Health Board and the Rockefeller Foundation from the 1920s to the era of DDT". Public Health Rep. 119 (2): 206–15. doi:10.1177/003335490411900214. PMC 1497608. PMID 15192908. ^ Sledge, Daniel (2012). "War, Tropical Disease, and the Emergence of National Public Health Capacity in the United States". Studies in American Political Development. ^ Division of Parasitic Diseases (February 8, 2010). "Malaria Control in War Areas (1942–1945)". The History of Malaria, an Ancient Disease (2004). 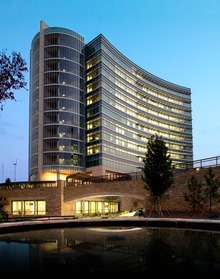 Atlanta, Georgia: Centers for Disease Control and Prevention. Retrieved March 21, 2011. ^ Scheele, L. A (1952). "Dr. Joseph W. Mountin, pioneer in public health, 1891-1952". Public Health Rep. 67 (5): 425. PMC 2030772. PMID 14930166. ^ White, Mark; McDonnell, Sharon M.; Werker, Denise H.; Cardenas, Victor M.; Thacker, Stephen B. (2001). "Partnerships in International Applied Epidemiology Training and Service". American Journal of Epidemiology. 154 (11): 993–999. doi:10.1093/aje/154.11.993. ^ Beth E. Meyerson; Fred A. Martich; Gerald P. Naehr (2008). Ready to Go: The History and Contributions of U.S. Public Health Advisors. Research Triangle Park: American Social Health Association. ^ CDC (1992). "CDC: the nation's prevention agency". MMWR Morb Mortal Wkly Rep. 41 (44): 833. PMID 1331740. Archived from the original on November 18, 2010. ^ "CDC Office of Director, The Futures Initiative". CDC—National Center for Disease Control and Prevention. Archived from the original on June 29, 2016. Retrieved December 28, 2008. ^ Koenig, Robert. "New Chief Orders CDC to Cut Management Layers". Blogs.sciencemag.org. Archived from the original on September 20, 2009. Retrieved April 16, 2012. ^ "Viral Special Pathogens Branch". Retrieved May 18, 2016. ^ Scutti, Susan (July 16, 2014). "CDC Smallpox and Anthrax Mishaps Signal Other Potential Dangers". Newsweek.com. Retrieved February 26, 2017. ^ "Bioterrorism Office Gets a New Director". The New York Times. May 2, 2002. Retrieved October 17, 2018. ^ Office of Budget (May 23, 2017). "FY 2018 Budget in Brief - CDC". HHS.gov. Department of Health and Human Services. Retrieved July 25, 2018. ^ "CDC Grants at LoveToKnow Charity". Retrieved January 11, 2010. ^ Office of the Associate Director for Communication (May 19, 2010). "State of CDC: Budget and Workforce". CDC Impact Story Topics. Centers for Disease Control and Prevention. Archived from the original (XHTML) on January 22, 2013. Retrieved March 21, 2011. For more data on 2008, click on the "2008" link. ^ "Top Jobs at the CDC". Employment Information Homepage. CDC. April 1, 2008. Archived from the original on November 16, 2016. Retrieved March 21, 2011. ^ "Epidemic Intelligence Service". Centers for Disease Control and Prevention. Retrieved September 27, 2016. ^ "Epidemiologic Assistance". Centers for Disease Control and Prevention. Retrieved September 27, 2016. ^ Cliff, A.D. (2009). Infectious diseases: emergence and re-emergence: a geographical analysis. Oxford, UK: Oxford University Press. ISBN 0199244731. ^ Koplan, Jeffrey P.; Foege, William H. (December 1, 2011). "Introduction: the Centers for Disease Control and Prevention's Epi-Aids--a fond recollection". American Journal of Epidemiology. 174 (11 Suppl): S1–3. doi:10.1093/aje/kwr303. ISSN 1476-6256. PMID 22135388. ^ Public Health Associate Program website, Cdc.gov; retrieved 2014-04-12. ^ "United States Government Policy and Supporting Positions (Plum Book)". U.S. Government Publishing Office. 2016. Retrieved March 22, 2018. ^ a b Wilgoren, Debbi and Shear, Michael D. "Obama Chooses NYC Health Chief to Head CDC", Washington Post, May 16, 2009. ^ Patel, Kant; Rushefsky, Mark E.; and McFarlane, Deborah R. The Politics of Public Health in the United States. M.E. Sharpe, 2005; ISBN 978-0-7656-1135-2. ^ "Past CDC Directors/Administrators". Office of Enterprise Communication. Centers for Disease Control and Prevention (U.S. Department of Health and Human Services). February 19, 2009. Retrieved May 19, 2009. ^ Records of the Centers for Disease Control and Prevention Administrative History; retrieved 2009-10-04. ^ "National Public Health Institute, NPHI Advocacy". IANPHI. Archived from the original on October 15, 2010. Retrieved April 16, 2012. ^ Anne Schuchat, MD profile, cdc.gov; accessed January 30, 2017. ^ Hellmann, Jessie (January 31, 2018). "CDC head resigns after report she traded tobacco stocks". The Hill. Retrieved January 31, 2018. ^ Sun, Lena H. (March 21, 2018). "Longtime AIDS researcher Robert Redfield picked to lead CDC". Washington Post. ISSN 0190-8286. Retrieved March 22, 2018. ^ "CDC Data and Statistics". CDC – National Center for Chronic Disease Prevention and Health Promotion. Retrieved August 10, 2006. ^ "Behavioral Risk Factor Surveillance System". CDC: National Center for Chronic Disease Prevention and Health Promotion. Retrieved August 5, 2006. ^ "NCHS – Mortality Data – About the Mortality Medical Data System". CDC – National Center for Health Statistics. Retrieved January 9, 2007. ^ "CDC – Data and Statistics – Reproductive Health". Cdc.gov. April 4, 2012. Retrieved April 16, 2012. ^ "About the Division of Select Agents and Toxins | CDC". www.cdc.gov. October 10, 2018. Retrieved October 17, 2018. ^ Cohen, Bryan. "CDC’s Select Agents Program protects against bioterror threats" Archived October 18, 2014, at Archive.today, BioPrepWatch, February 10, 2014; accessed October 17, 2014. ^ Achenbach, Joel; Dennis, Brady; Hogan, Caelainn. "American doctor infected with Ebola returns to U.S." washingtonpost.com. The Washington Post. Retrieved August 2, 2014. ^ "Continuing Appropriations Resolution, 2015" (PDF). congress.gov. Retrieved September 17, 2014. ^ "Overweight & Obesity". Centers for Disease Control and Prevention. Retrieved August 4, 2015. ^ "Antibiotic Resistance Lab Network | Antibiotic/Antimicrobial Resistance | CDC". Cdc.gov. January 5, 2017. Retrieved February 26, 2017. ^ "CDC Global Health - What We're Doing". www.cdc.gov. September 15, 2017. Retrieved April 19, 2018. ^ "Organization of the CDC Center for Global Health". cdc.gov. March 24, 2016. ^ Unite for Sight, uniteforsight.org; retrieved 2017-01-20. ^ "CDC's Role in Global HIV Control". www.cdc.gov. Retrieved April 19, 2018. ^ "2018 Yellow Book Home | Travelers' Health | CDC". wwwnc.cdc.gov. Retrieved June 1, 2017. ^ "Travel Health Notices | Travelers' Health | CDC". wwwnc.cdc.gov. ^ "42 U.S. Code § 280e–11 - Establishment and duties of Foundation". Legal Information Institute. Retrieved September 12, 2016. ^ "CDCfoundation.org". CDCfoundation.org. Retrieved April 16, 2012. ^ a b Patel, Kant; Rushefsky, Mark E. (May 20, 2015). The Politics of Public Health in the United States. Routledge. pp. 94–95. ISBN 9781317455264. ^ "Tuskegee Study - Timeline - CDC - NCHHSTP". ^ "CDC Ran the Tuskegee Experiment for 15 Years: Any Connection To Operation Paperclip?". exopolitics.blogs.com. August 27, 2014. Retrieved August 4, 2015. ^ Khan, Ali S. (May 16, 2011). "CDC Zombie Warning". "Preparedness 101: Zombie Apocalypse". Retrieved March 8, 2014. ^ "Skepticality Podcast". Centers for Zombie Control and Prevention. October 25, 2011. Retrieved March 8, 2014. ^ "Zombie Novella|Zombie Preparedness|Are We Prepared?". Cdc.gov. April 10, 2015. Archived from the original on July 29, 2017. Retrieved February 26, 2017. ^ "Zombie Preparedness|Are We Prepared?|PHPR". Cdc.gov. April 10, 2015. Retrieved February 26, 2017. ^ a b "Public Law 104–208" (PDF). Congressional Record. September 30, 1996. ... none of the funds made available for injury prevention and control at the Centers for Disease Control and Prevention may be used to advocate or promote gun control. ^ a b "Quietly, Congress extends a ban on CDC research on gun violence". Pri.org. Retrieved November 29, 2015. ^ a b c d e f g Masters, Kate (April 5, 2016). "Why Did the CDC Stop Researching Gun Violence?". The Atlantic. Retrieved February 21, 2018. The agency’s former leaders say it could do more to explore the subject, but its officials fear political—and personal—retribution. ^ Office of Public Health and Science (January 4, 2007). "David Satcher (1998-2002)". U.S. Department of Health and Human Services. Archived from the original on December 5, 2007. Retrieved January 17, 2008. ^ "Democrats push to restart CDC funding for gun violence research". Philly.com. Retrieved November 29, 2015. ^ Sun, Lena H.; Eilperin, Juliet (December 15, 2017). "CDC gets list of forbidden words: fetus, transgender, diversity". Washington Post. Retrieved December 18, 2017. ^ Sun, Lena H.; Eilperin, Juliet (December 16, 2017). "Trump administration forbids CDC officials from using 7 words and phrases". Chicago Tribune. Retrieved December 18, 2017. ^ "No, HHS Did Not 'Ban Words'". National Review. ^ "Editorial: It's Not 1984". Weekly Standard. December 20, 2017. ^ Jashinsky, Emily. "Did you hear the CDC 'banned' seven words? Here's the full story". Washington Examiner. ^ "CDC – Publications". CDC – National Center for Disease Control and Prevention. Retrieved October 10, 2012. ^ "State of CDC Report". CDC – National Center for Disease Control and Prevention. Archived from the original on March 4, 2016. Retrieved October 10, 2012. ^ "Programs in Brief: Home Page". CDC – National Center for Disease Control and Prevention. Archived from the original on July 18, 2006. Retrieved August 10, 2006. ^ "Morbidity and Mortality Weekly Report". CDC – National Center for Disease Control and Prevention. Retrieved October 10, 2012. ^ "Emerging Infectious Diseases". CDC – National Center for Disease Control and Prevention. Retrieved October 10, 2012. ^ "CDC/National Center for Health Statistics". Retrieved October 14, 2014. Wikimedia Commons has media related to Centers for Disease Control and Prevention.